Our friends at digital media platform Refinery29 have created a crucial online destination for high-quality short films directed by women – the Shatterbox Anthology. Featuring a selection of commissioned films from directors such as Pamela Romanowsky, Jessica Sanders, Gabourey Sidibe, and Courtney Hoffman, the Shatterbox Anthology gives each director free reign to explore expansive storytelling and stretch the limits of their film craft. The wild variety and sumptuous depth of films created for the Shatterbox Anthology is a testament to the need for more opportunities for women directors to explore their storytelling visions. Director Meredith Danluck‘s “Clavadista”, created in partnership with brand sponsor DOVE® Chocolate, is the latest ambitious project to debut on the Refinery29 platform. 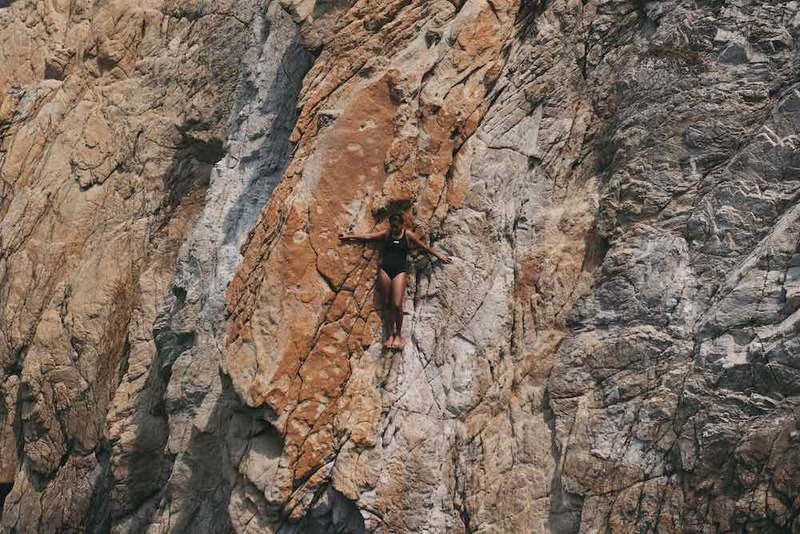 Shirking tradition, a young woman in Acapulco, Ava, dreams of joining her male family members as a death-defying cliff diver (or “clavadista”). 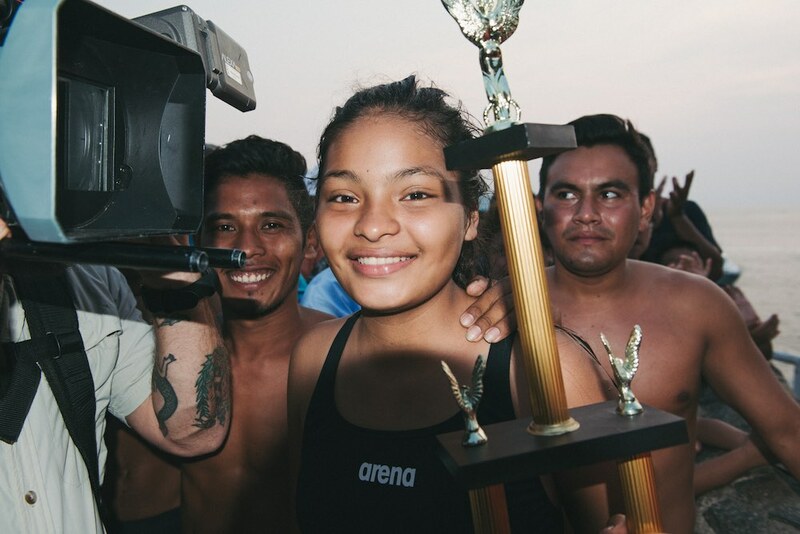 Danluck captures the utter freedom of diving, Ava’s resilience in the face of those who doubt her abilities, and the ultimate triumph of family bonds over societal restrictions. Gorgeously shot and boasting strong performances from a cast of untrained actors, “Clavadista” is a cinematic treat. We spoke with Meredith about the grueling effort required to capture the cliffside footage, the joy of working with her devoted cast, and why filmmaking requires that you become “a little insane”. How did this collaboration with Refinery29 and DOVE® Chocolate come about? What makes this platform such a good fit for your work? Refinery29 has become such an interesting platform for filmmakers over the last couple of years. They give filmmakers so much freedom and I think the film community acknowledges that and therefore the work really gets seen. Shorts don’t often have great distribution but Refinery makes sure these films have real legs. What inspired you to focus on the clavadistas, and beyond that, to zero in on Ava’s story? Refinery29 reached out with an RFP (request for proposal) shortly after I had seen an exhibit at LACMA on Mexican art. In the exhibit was a video monitor showcasing a film made with Elvis Presley in Acapulco, “Fun in Acapulco”. 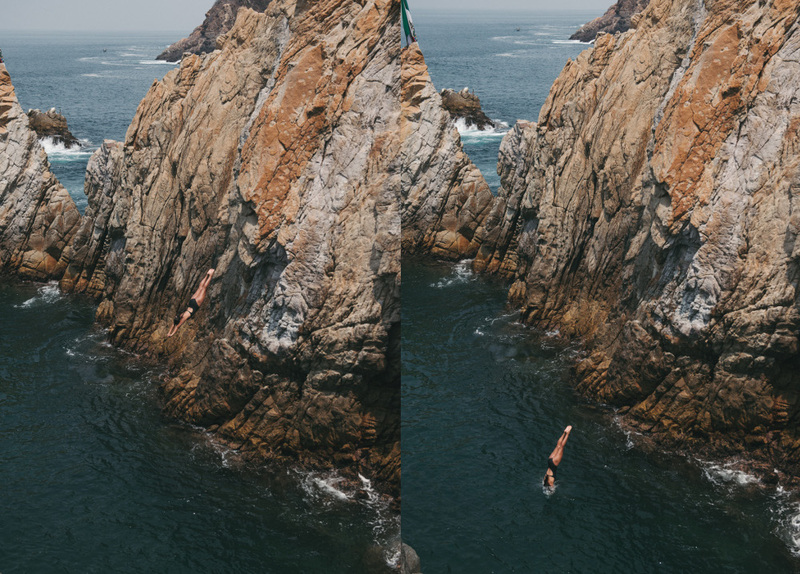 In the film, Elvis becomes a cliff diver. I was mesmerized by that scene, and I went into a rabbit hole, googling everything I could about the cliff divers, or Clavadistas. I came across a short Discovery channel documentary about Jimena Alvarez, who plays Ava. She was fascinating, a young girl in a primarily masculine field who was bringing such enthusiasm and grace to it. I could relate to and was inspired by her on many levels. What unique challenges were posed by shooting the divers and the cliffside? Were any of the beautiful shots that you captured difficult to achieve on a technical level? Haha. Yes, Practically all of them. The conditions of shooting the divers were pretty extreme. My producer Matt had a step counter thing on his phone. At the end of the shoot he said we were averaging 80 flights of stairs and 6 miles a day just going up and down and around the cliffs. We had ropes and rigging to rappel down onto the rocks, we all were wearing harnesses climbing up and down with gear, the camera had to be strapped for shooting at the top of the cliff. We had water safety boats and divers for shooting underwater, pretty much every place I wanted to shoot had some complex set up. Shooting underwater is never easy, but underwater phantom with a strong current, a moving target of a diver at 35mph and a seasonal blight of stinging jellyfish was a whole other ball game. I’m a surfer, rock climber and a strong swimmer so it was kind of right up my alley, but yeah- at the end of every day I was broken and deeply in need of a margarita. What were your visual reference points for the look and feel of this film? I really looked at classic 80’s sports films: “Karate Kid,” “The Natural,” “Chariots of Fire”; and then studied the camera work of the Dardenne Brothers. Those two references couldn’t be farther apart, but I wanted the poetry and coolness of the Dardennes with the big, epic muscularity of those 80’s sports films. Ava, the lead, and the rest of the family that’s at the center of the film, are not trained actors. What were some of the joys of working with talent that doesn’t come from a formal acting background? I was really impressed with all of them. I think after the initial on-camera jitters, we all became a really tight team. A film set is absolutely ludicrous if you’re not familiar with it. Jimena (Ava) was pretty amused by so much of it. “Vamos otra vez” became the big joke on set. It means “let’s go again.” They really pulled so much from their own lives, which grounded it in reality. They had zero ego and just really wanted to make something great. What was your directorial strategy for capturing the performances you were hoping for, working with such a large cast of young actors? How did you prepare everyone for set? Before we started, we had a table read and discussed how to read and break down a script for their character, how to look at the scenes emotionally and dig beyond the words on the page and into what the characters were going through or what they really wanted out of a given moment. What were they hiding? What were they revealing? We talked about how doing this prep work would help them later on set because sometimes set is chaotic and you need to hold onto something. I also told that that sometimes set is magical and everything you thought you knew about a scene changes in the moment. Being prepared is the only way you can truly let go in those moments and improvise. One of the greatest moments on set for me was when I found Alexis’ (Carlos) script. In it were all sorts of notes in the margins. They were all so disciplined and joyful, which I think directly correlates with their athleticism. The film is in Spanish, with English subtitles – are you fluent in Spanish yourself? How did you find the experience of directing a film that was meant to be enjoyed by viewers in multiple languages? Did you work differently than you would usually, with this in mind? I grew up in Miami and speak a bit of Spanish and understand most everything so I did have an advantage there but I had to rely heavily on my Producer and AD to communicate more complex directions. Other than that I didn’t find it that different. I do wish I could have communicated more naturally with the cast, just socially, but we made it work and had a lot of fun. Did working on this film teach you any lessons that you’ll apply to your future directorial endeavors? One thing that really stood out on this set had so much to do with the cast being all non-actors. It became very clear to me that they needed clarity, which I think all actors need but in this scenario it was more extreme. On other sets I may work with actors to set up blocking with them, but on this project I really had to take the reigns and choreograph everything, especially given some of the camera movement I wanted to achieve. It was incredibly efficient and actually allowed a deeper kind of collaboration because they could see I had a vision of the scene and therefore could relax and trust in it. Trust is what ultimately draws the best out of each and every person on set. You have to trust that you are all making the same movie and that it’s going to be great. We’re happy to see a short film with such a long duration – clocking in at around 25 minutes, Clavadista is almost like an episode of a television show! Is episodic TV something that you’re hoping to explore in the future? Absolutely. I actually just wrote a pilot and nine episode bible of a project that I’m putting the final touches on, so I have been watching a lot of TV. TV is so good now. Our watching habits have changed. I think because of social media and the hyper connectivity of the internet we crave more complex narratives. We want to get deeper into characters than ever before. Television and Films serve different purposes and feel very different. I will always love the concise arc of a great film, but am really seduced by the complex dramatic web of episodic television. Your career has taken you through a number of phases, beginning with video art, which led into the creation of experiential work, including a project with Beyonce, and then has led you to feature films. Any other mediums (VR, AR, etc) or formats you haven’t yet explored that you would like to try? I love visual storytelling in any medium and because of some of the multi-screen opportunities I’ve had, like the visuals for the On The Run Tour or working with John Legend, I’ve been able to think outside the single screen context, which is quite fun. I’d like to do more of that. Can you talk to us about your feature film State Like Sleep, which we were glad to see making its premiere at this year’s Tribeca Film Festival? When will audiences be able to see State Like Sleep in theaters? “State Like Sleep,” is my first feature narrative film starring Katherine Waterston, Michael Shannon, Luke Evans, Mary Kay Place and Michiel Huisman. The film follows Katherine’s character as she traces her husband’s last days alive, spinning a web of doubt and foul play. The Tribeca premiere was so much fun. The New York audiences were smart and enthusiastic and I couldn’t have asked for a better reception. The film should be out later this year! What other exciting projects can we look forward to from you in the future? I have a TV show that I’m really excited about and another feature script in development. In conclusion, what words of wisdom would you pass on to aspiring women filmmakers just breaking into the industry? I think the most wisdom I could pass on is that making movies is really hard. Like, REALLY hard. “State Like Sleep,” took six years to make. It came together, fell apart. I wrote it and re-wrote it. I never once thought it wouldn’t come to fruition. I knew this would be a movie. You have to be a little insane to make movies because it’s quite literally making a dream, a dream that’s inside your head, come true. You have to get hundreds of people on board with that dream. Hundreds of people have to want to help you build that dream. So it’s not just about writing a good script, or showing you can direct stunts or whatever other skills you put on display, it’s about inspiring people.